Perhaps the most misunderstood condition currently plaguing us, Fibromyalgia is the devastating syndrome of the musculoskeletal region that affects 1 out of every 75 people. The condition can produce an array of lasting symptoms that includes widespread pain, joint tenderness, sensitivity to heat and cold, stiffness, tingles and numbness, IBS, insomnia and restless leg syndrome, anxiety and depression. 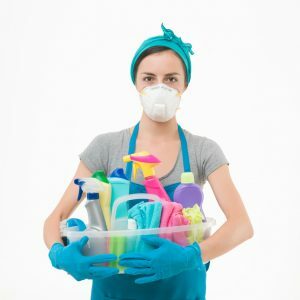 Chemical Exposure: Toxins have been called out as being a cause of fibromyalgia, especially chemicals that include pesticides, asbestos, BPA, VOCs and household cleaners. These toxins enter the bloodstream and cause mutation by disrupting the endocrine system. The good news is we have developed a cleaner that without these toxins so that fibromyalgia sufferers can clean without bing exposed to these chemicals. I have used this cleaner for years. It works for laundry, hair, everyday cleaning, and just about anything I can come up with. It does NOT have a strong smell so it does not cause me to get headaches – the way other cleaners do. Industrial Machines, Car Wash, Heavy Oil Filter Cleaner, Paint Cleaner, Maid & Janitorial Cleaning, Boats & Marine, Pressure Washing, Carpet Cleaning. Click here for more uses.